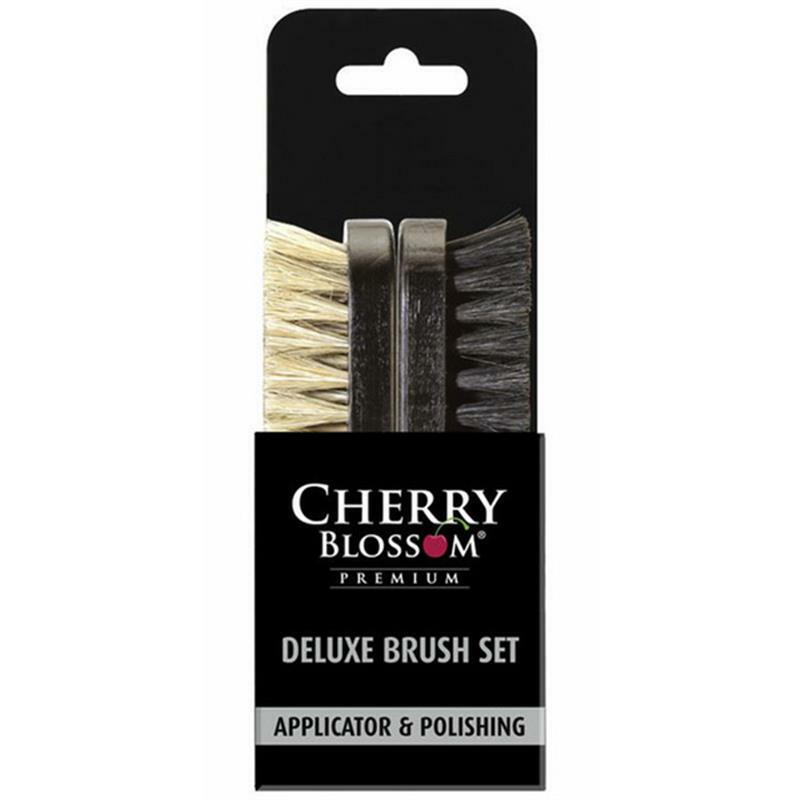 Cherry Blossom Deluxe Brush Set. Cherry blossom pack of two high quality deluxe horsehair brushes, wooden backed with a black stain varnish. Perfect for applying and buffing polish/dubbin.